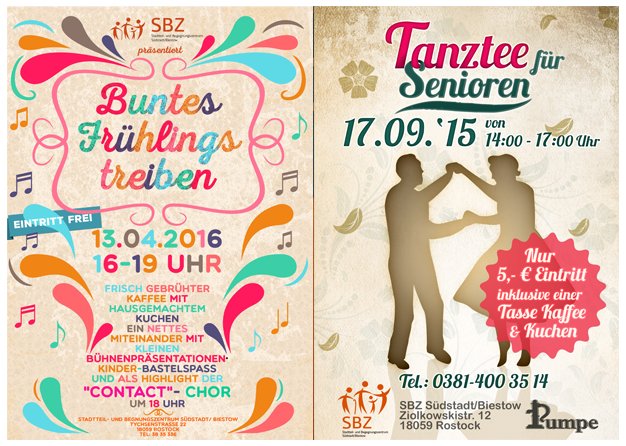 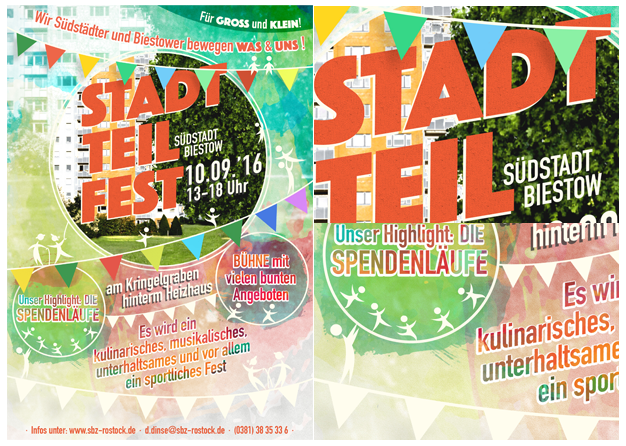 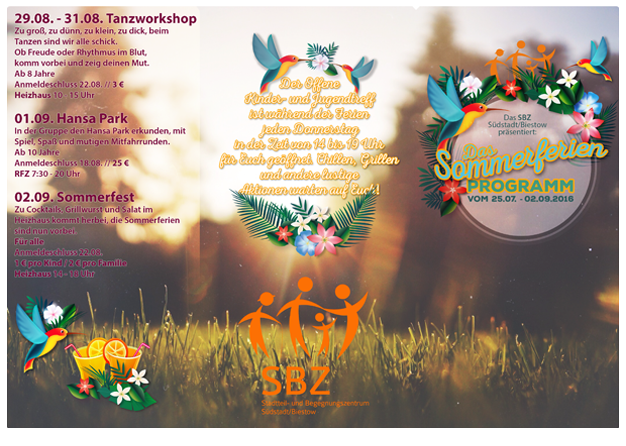 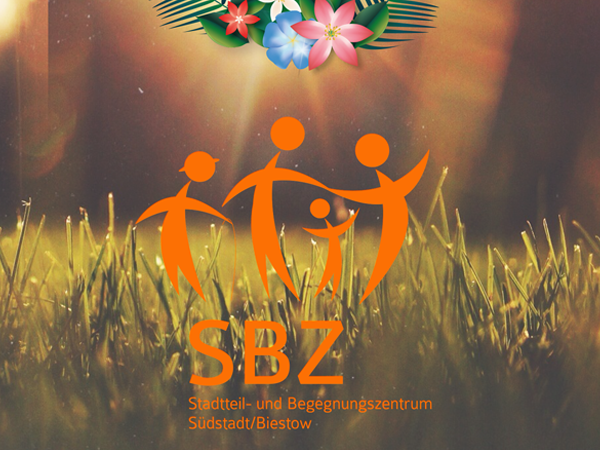 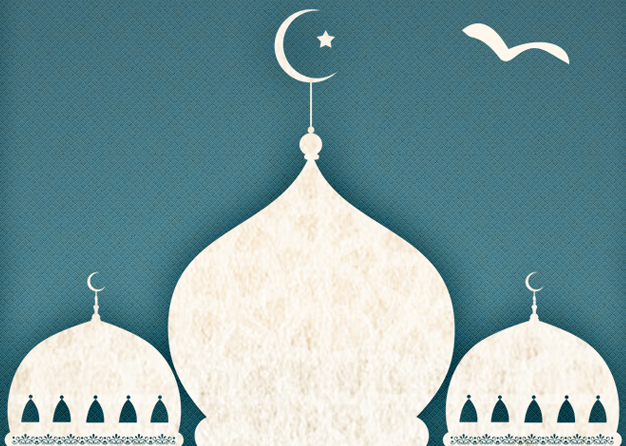 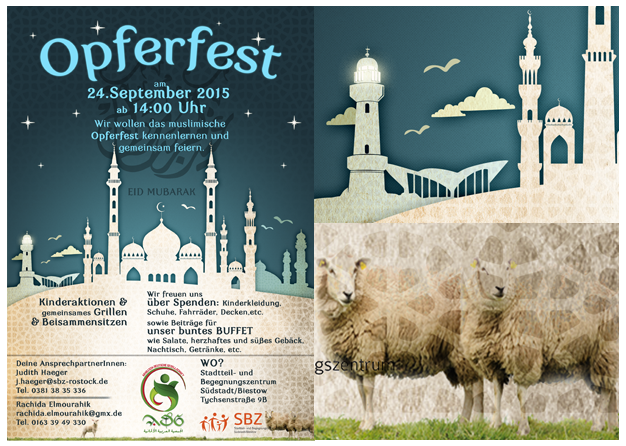 To promote the offers/activities of the youth & cultural center‚ SBZ Rostock (Suedstadt / Biestow) – I’m creating diverse designs/illustrations as volunteer work for several years now. 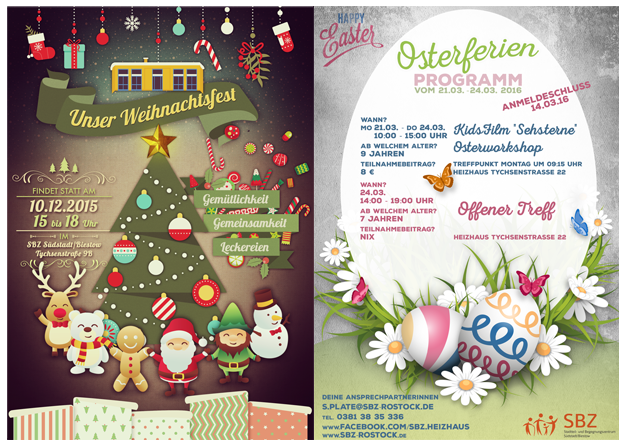 Have a look at the postcard I made for them in 2010. 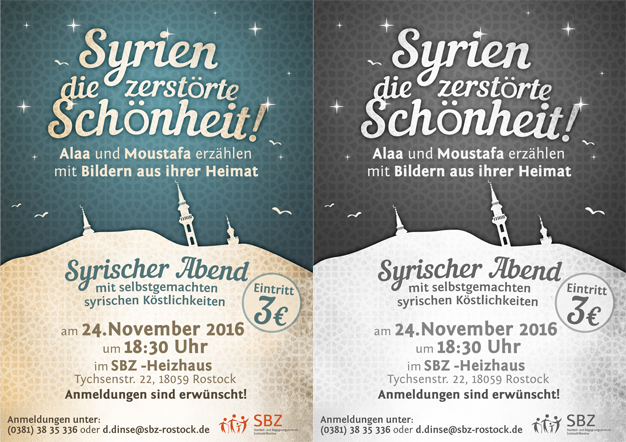 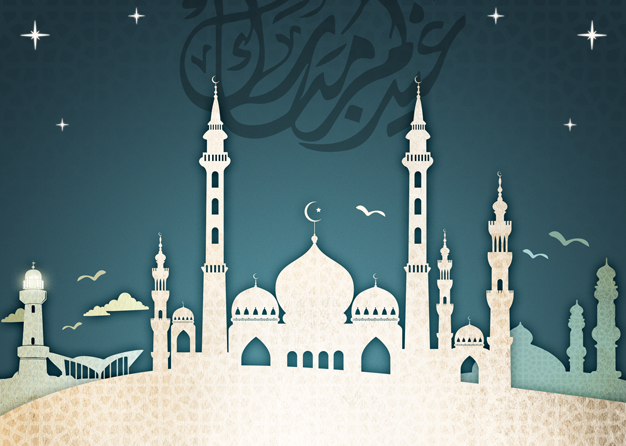 Most of the time the flyer designs have to come in colour AND in black & white because the sponsering of colourprints often contains just one poster, which is usually displayed in the cultural center – the handouts do have to work in black & white as well.